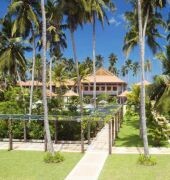 Serene Pavilions is a five star hotel located in Wadduwa on the South Sri Lanka Coast. 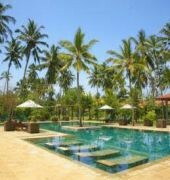 This adults only boutique hotel offers 12 luxurious Balinese-style villas with views of Indian Ocean and tropical landscapes. Accommodations feature state-of-the-art entertainment systems, private jacuzzis, sun loungers, free internet and 24 hour personal butler service. 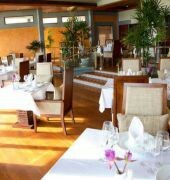 The hotel is home to a restaurant serving a wide range of high quality cuisines, and a bar offering refreshments and cocktails. 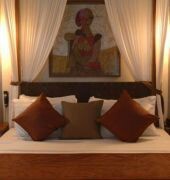 Each provide panoramic views over the Indian Ocean. In addition guests can order meals via the in-suite dining service. Leisure facilities include a well-equipped gymnasium, a large outdoor swimming pool, tennis courts and a luxurious full-service spa. 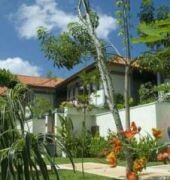 Serene Pavilions is a 45 minute drive from Colombo city centre, and 63km from Colombo Bandaranaike International Airport.